John began writing his own training and nutrition column for IronMan Magazine in March, 2000 and continued his column up to 2014. 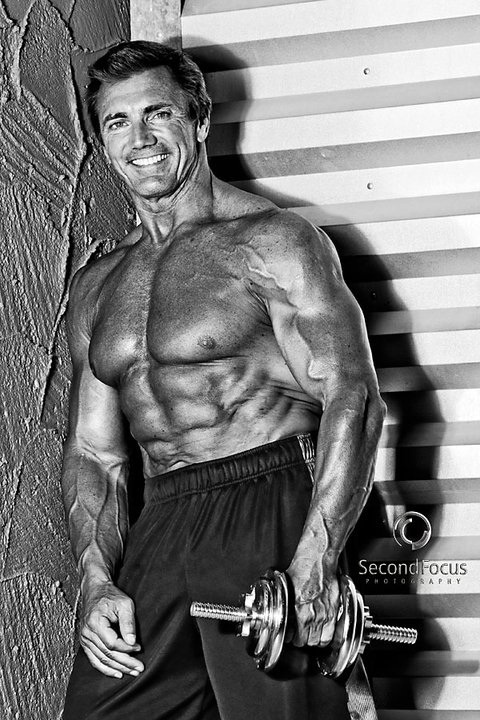 In 2005, John wrote his first book “Natural Bodybuilding” published by Human Kinetics. He released a series of training DVD’s in 2006. John began promoting natural bodybuilding competitions in 2007 in Chicago, eventually promoting 15 contests total. John Hansen has been a bodybuilder all of his life. Initially inspired to build a muscular physique after reading the superherocomic books he collected in his youth, John began weight training after seeing a picture of the martial arts superstar Bruce Lee. Lee looked like the closest thing John had ever seen to a superhero and he wanted to look just like him. After receiving a weighttraining set for Christmas at 12 years old, John started buying bodybuilding magazines to learn about what exercises he coulddo with the weights. Once he discovered the sport of bodybuilding, John knew what he wanted to do with his life. He set a goalfor himself to win the Mr. Universe contest one day and appear in the bodybuilding magazines. John began competing in bodybuilding competitions at the age of 16. After competing in ten teenage bodybuilding contests, Johnbulked up to 230 pounds at 21 years old. This was almost 100 pounds more than when he started training at 14 years old. Johnstarted competing in the open level competitions at 21 years old, eventually winning the 1986 NPC Illinois State and the 1986 NPCMid-America contest. He also won the 1990 NPC Illinois Cup. In 1991, John began competing in Natural Bodybuilding contests. He won the 1992 NPC Natural Illinois, the 1992 ABA Natural Mr.North America and then won the 1992 Natural Mr. Universe, a title he always wanted to win since he began bodybuilding at 14 yearsold. John went on to win the Natural Mr. Universe again in 1996 and he won the Masters Natural Mr. Universe in 2012. John was alsothe first winner of the Natural Mr. Olympia contest held in Greece in 1998. John began writing his own training and nutrition column for IronMan Magazine in March, 2000 and continued his column up to 2014. In 2005, John wrote his first book “Natural Bodybuilding” published by Human Kinetics. He released a series of training DVD’s in 2006.John began promoting natural bodybuilding competitions in 2007 in Chicago, eventually promoting 15 contests total. Copyrights © bodybuildinglegendsshow.com, All rights reserved.